The new “grasslands protocol” highlights a growing trend in agriculture: farmers being paid for reducing greenhouse gas emissions. Earlier this summer, the California Air Resources Board approved a new protocol for rice growers, representing the first-ever crop-based carbon standards in a compliance market. That protocol allows rice farmers to earn extra revenue for reducing methane emissions in their operations. And just last year, the American Carbon Registry implemented a new standard that rewards farmers who reduce emissions by applying compost to their fields. Conversion of grasslands to croplands leads to the release of the carbon that is stored in the soil – carbon which, in many cases, has taken decades to accumulate. By keeping grasslands as grasslands, carbon stays in the soil and out of the atmosphere. 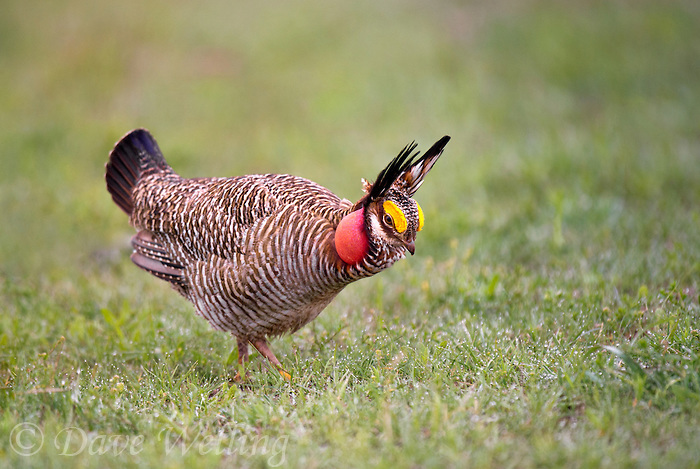 Learn more about EDF’s work to protect and restore habitat for at-risk species like the lesser prairie-chicken and greater sage-grouse. But preserving grasslands doesn’t just reduce emissions, it also provides the opportunity to conserve wildlife habitats such as prairie grasslands, home to at-risk species like the lesser prairie-chicken and greater sage-grouse. Other types of grasslands ripe for conservation contain steep terrain, so preserving it reduces erosion that could otherwise lead to water pollution. The grasslands protocol focuses on marginal lands, which are often the least productive areas of cropland. This includes steep lands, which are more erodible, and lands with less fertile soils, which would require larger fertilizer applications to be productive. Even though farmers lose the opportunity to convert land for production, the protocol provides them with a guaranteed revenue source. To create this revenue stream, farmers typically work with carbon credit experts to monitor and report on the status of their lands, thereby earning a credit that can later be sold in a carbon market. Government funding for conservation efforts has historically been unpredictable, so carbon markets provide new opportunities for farmers to earn extra income for conservation activities. The largest of these markets are the California and Quebec cap-and-trade markets, where credits are purchased by companies that are required to reduce their emissions, such as energy companies and electric utilities. In addition to revenue from keeping carbon in the soil, this protocol allows farmers the ability to develop multiple credits on a single piece of land. In other words, a farmer who preserves his or her grasslands in a way that also creates habitat for a threatened or endangered species has the potential to generate two separate credits and thereby two sources of revenue. My colleagues at EDF and I applaud the work of the Climate Action Reserve in leading the way and developing this protocol. We are excited to now be working to test the market in the field. If you are interested in learning more about generating new revenue by preserving your grasslands, please contact me. 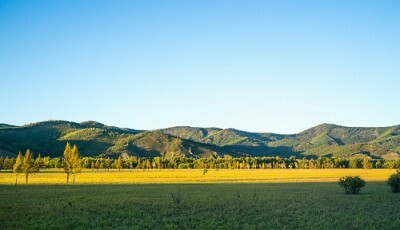 This entry was posted in Carbon Market, fertilizer and tagged agriculture, American Carbon Registry, California Air Resources Board, cap and trade, carbon credit, Carbon Offsets, climate action reserve, environmental defense fund, farmers, grasslands protocol, greater sage-grouse, greenhouse gas emissions, lesser prairie-chicken, methane, ranchers. Bookmark the permalink. Both comments and trackbacks are currently closed. Thanks, Robert for the explanation and announcement. The registry is ready for grassland credit, but have we any idea when a funding stream is operable and how much income per acre there will be?